When I saw this month's Kulinarya pick was polvoron, I closed my eyes and there was Grandma Enrique smiling down at me with her twinkling eyes. 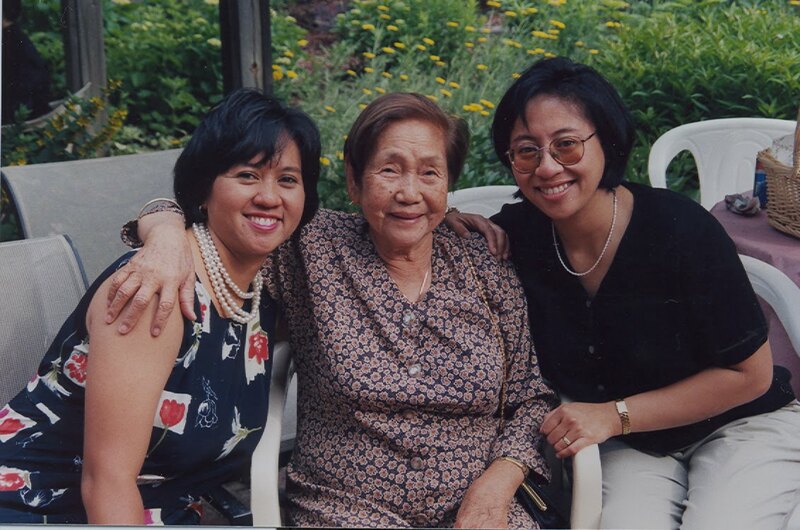 Grandma Enrique always had words of loving kindness for me and everyone in the family. "Hi, my lovely granddaughter," "you have such strong and healthy legs," "your fingers are long like candles," you are so smart." My sister and I with Grandma Enrique (in the 1990s). Every time I look at my fingers, I think of her and thank her for acknowledging God's gifts in her children and grandchildren. I don't remember Grandma Enrique cooking all that much, but there was one thing she did with me and my younger brother Ed which brought us great joy. "Grandma, Grandma, can we make polvoron?" In our sunny 1970s olive green kitchen, she would let us melt the butter and lightly brown the flour, We would then mix those ingredients with sugar and Carnation dried milk until we had a sandy mixture in our metal bowl. We took turns using the polvoron mold to shape the little candies and cut out little squares of foil or colored tissue paper in which we would wrap the polvorones like you find salt water taffy in the US. Often as not, we would take spoons and eat the polvoron mixture straight out of the bowl. If you've never had polovoron, it's a little hard to describe. And maybe a little strange. 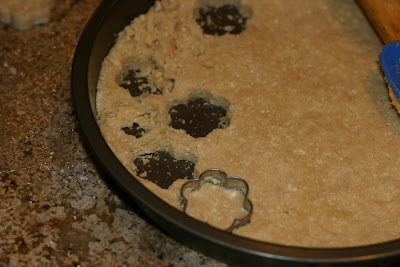 Who would ever think of combining evaporated sugar, browned flour, melted butter, and dried milk to make crumbly treats? Someone enterprising who could do something with nothing, that's who. One thing I can tell you is that polvorones are addictive. They are sweet, buttery, milky, and they disintegrate in your mouth in the most unique way. I will admit that it's difficult for me to change or give a twist to food that is so connected to my childhood. I want to reproduce joyful moments from the past. With that said, here is a very basic and traditional polvoron like the one my beloved Grandma Enrique made. Grandma Enrique passed away on her 95th birthday on April 9, 2005, as her children, grandchildren, and relatives came from near and far to Lingayen in Pangasinan, Philippines to celebrate her long life. While it was so sad for us to lose her, she passed suddenly with many of her family gathered already in her honor. In a way, she couldn't have picked a better time to exit. 1) A polvoron mold makes one's life much easier when making these. I don't have one, so I tried two different ways: spreading the mixture in a cake pan, pressing it down until compact and then using a small cookie cutter to cut out individual polvoron. I also used a small scooper. After I had already made the polvoron, I was in a kitchen store and saw a silicone mini-Madeleine mold, which would be perfect for turning out a lot of perfectly shaped polvoron. 2) I kept to the most basic of polvoron recipes, but you can add different kinds of extract (vanilla, almond, etc.) and ground nuts. You can cover them with chocolate. How about ground Oreos, cinnamon bears, or graham crackers? Frozen, puvlerized fruit would work too. If I had made a variation, I would have tried ground toffee bits or finely chopped Reese's peanut butter cups. The sky's the limit as long as the polovoron can maintain its shape. Brown the flour over medium-low heat, stirring often, until it's lightly browned. This takes about 10-15 minutes. Let the flour cool a few minute and add the dried milk, sugar, and melted butter. Mix together. Using a mold or cookie cutter, compress and shape into individual polvorones on a baking sheet. Cover the polvorones with a sheet of plastic and put them in the refrigerator for 30 minutes to harden. 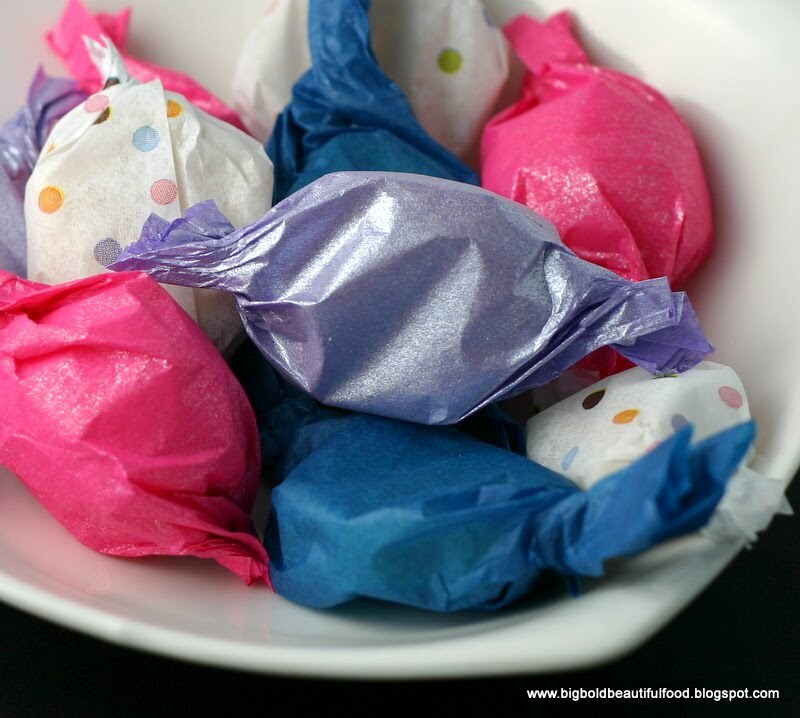 In the meantime, cut out squares of tissue paper or aluminum foil in which to wrap the polvorones. When cooled, individually wrap the polvorones for a colorful display. Enjoy! Kulinarya was started by a group of Filipino foodies (Kath, Trisha and Trissa) living in Sydney, who are passionate about Filipino culture and its colorful cuisine. Each month we will showcase a new dish. By sharing these recipes, we hope you find the same passion and love for Filipino food as we do. 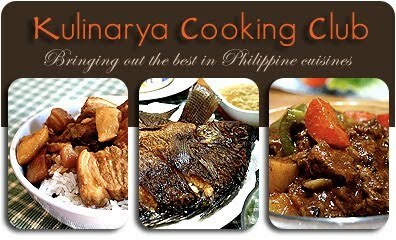 If you’re interested in joining our Kulinarya Cooking Club, please visit http://au.groups.yahoo.com/group/kulinarya, and become a fan on our Facebook page. Here are the members of the Kulinarya Cooking Club (and more to come!). Please feel free to check out and follow our members' blogs. You don't have to have a blog to join -- everyone is welcome. just reading about your grandma makes me miss my "Inay" on my father side, she use to tell me tales and let me watch while she cooks sinaing na tulingan in Laguna. 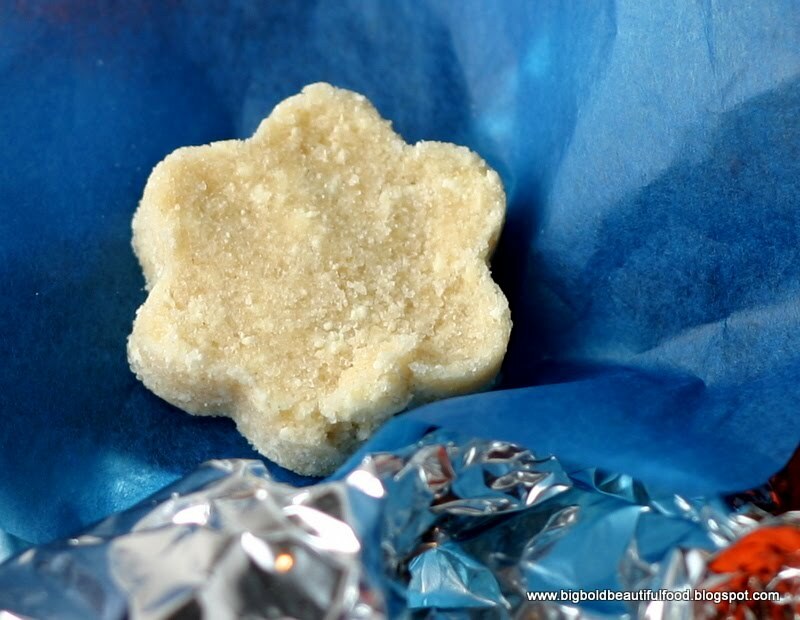 Your flower shape Polvoron looks fantastic!!!! I love the pic of the 3 of you and the kind words she always had for you.Sweet Ninette. I love the polka dot wrappers! Your polvoron looks creamy and buttery! :)) it must have been wonderful to remake your granny recipe!! :)) love the colorful wrappers!! Hi Ninette! Thanks for sharing the memories of your grandmother. She looks wise and very loving. She must have been a good cook too! And also, thanks for sharing the tips on the molds as well. Great story. I used to make some with my grandmother too. I wished I had the recipe because for some reason, I can't find one that was close to hers :D.
Ninette, Grandma's Polvoron sounds like a delicious confection that I can't wait to try. Makes my mouth water thinking of it. Olivio Giveaway and My Top Ten Olivio Recipes!